Simon Katich was one of Australia’s top cricketers during the 2000’s. A tenacious opening batsman, he began his career playing for his home state, Western Australia, before switching to New South Wales and making his Test debut during Australia’s 2001 Ashes tour of England. A career highlight was in 2004 against Indian in Sydney. With the game in the balance, his 125 and unbeaten 77 saved the Test match for Australia and its decade-long unbeaten record at home. Although Australia’s 2005 tour of England was not successful for Australia, Katich was playing at the peak of his powers and posed a significant threat. In 2007/08 Katich’s 1506 runs broke Michael Bevan’s record for the most number of Sheffield Shield runs in a season and New South Wales won its 45th title. In the 2009 Ashes tour, playing in all five Tests, Katich scored 341 runs at an average of 42.62. Katich’s grit and determination were ever present in the final test of the series, taking six catches and directly effecting two run outs. 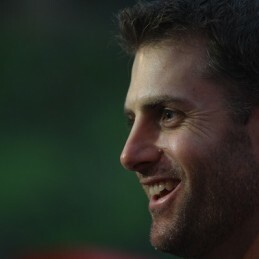 Since his departure from international cricket, Katich has played for Indian Premier League team Kings XI Punjab and the Perth Scorchers. A left-handed opening batsman and part time left-arm spin bowler, Katich played 56 Tests between 2001 and 2011. He retired from first-class cricket in 2012. An articulate and well-presented guest speaker and sometimes media personality, Simon Katich uses his personal experiences and anecdotes to draw parallels between elite sport and the business world.